The first design in the Smithsonian collection was the Corona twist-top rollerball pen. The deeply etched barrel is reminiscent of the ornamental bronze-colored metal lattice that covers the outside of the National Museum of African American History and Culture building in Washington D.C. Lead designer David Adjaye pays homage to the intricate ironwork crafted by enslaved African Americans in Louisiana, South Carolina, and elsewhere using this design. This success follows with two more worthy additions; Dino which brings a smile to the face of every dinosaur lover both young and old. And the striking colors on the Amelia Earhart commemorative Lockheed 5B Vega aircraft she piloted in her historic around the world adventures. Each rollerball pen is uniquely numbered on the top ring. It ships in a commemorative Smithsonian display tube. 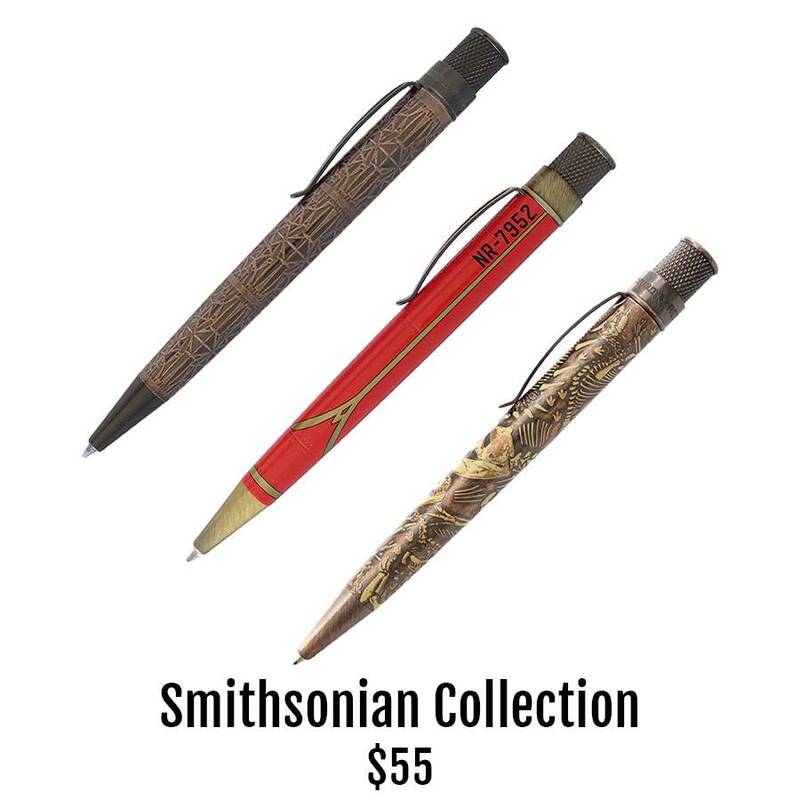 A portion of the proceeds from the sale of these pens will support and further the Museum’s educational mission. A worthy national cause in our opinion.